Here is a potted history of the principals that commit themselves to producing the highest quality greenhouses available, and some information on the cultivar greenhouse. We employ time served engineers and experienced fitters to guarantee your satisfaction. 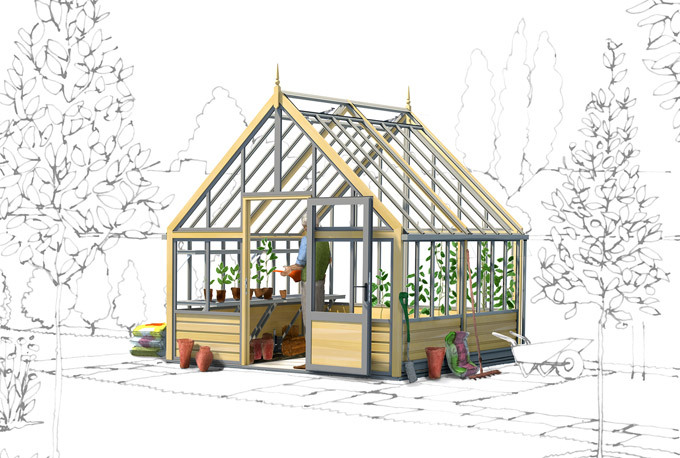 The Cultivar greenhouse has been carefully arduously designed, all the materials used in the structure are of the finest available, no corners have been cut. The Accoya timber portals are strong, straight and true, naturally treated to last at least 50 years. This provides a solid framework in which the high grade aluminium glazing panels are fixed. The glazing uses the most modern window system of EPDM gasketry and lock in beading to secure the toughened safety glass, manufactured to BS 6206. Although labour intensive the glazing system ensures fixings remain concealed which draws comparison with the glazing in any modern home. The high capacity aluminium gutters and downpipes are designed to permit drainage into water butts or to the ground, it’s your choice. The door system is robust, secure and designed to be open to 180 degrees with a secure latch facility allowing hands free entrance, the doors are high, wide and handsome with a lower level kick plate and toughened glass above. All doors sit within an Accoya frame and have soft closing gasketry. There is no substitute for quality and experience. Read about our history and how we've produced the World's Most Advanced Greenhouse. Owning Customer focused companies it is important to recognise that a quality product backed by years of experience are vital attributes. So an ailing but famous greenhouse business was rescued from closure and its’ products were introduced to discerning customers. 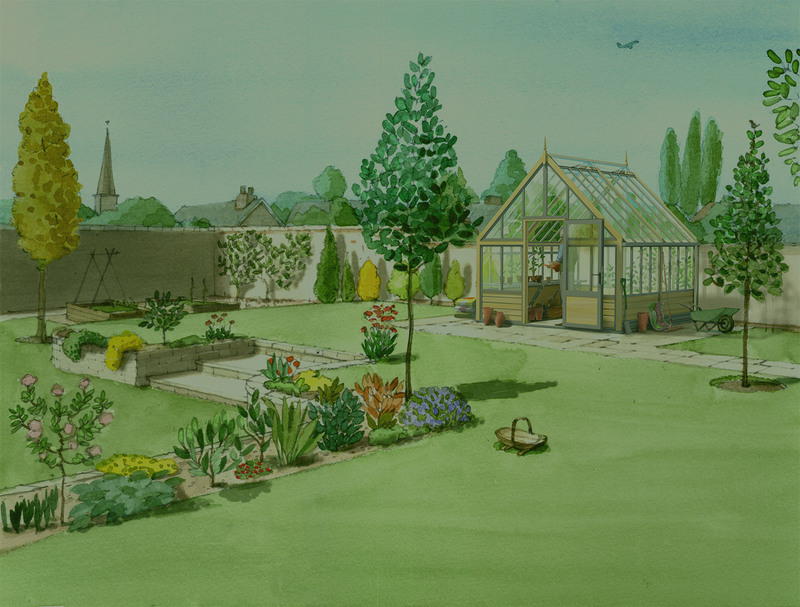 Re-design and creative thought brought an entirely new range of classic greenhouses to the market. The introduction of Computer Aided Design saw the drawing boards archived. We introduced modern production techniques such as polyester powder coating to offer a choice of long lasting finishes finishes. Materials were also updated and we were the first company to offer toughened safety glass as standard on the entire greenhouse range. Such advances gave the company entirely new market opportunities. Expansion into the export markets of Europe and North America where British manufacturing, design, style and quality were appreciated. Our thirst for innovation was undimmed with new models and manufacturing techniques. With a successful business providing growing employment new opportunities were sought. So knowing the glasshouse trade we began the design of high quality cedar greenhouses using our aluminium and glass experience. A new contemporary design, new workshops, new staff and an all new company set out to change the face of an industry with 50 year old techniques. The biggest greenhouses in two decades are built. The team built if not the biggest (in mass production terms) but definitely the most stylish influential greenhouses in two decades treasured by tens of thousands of customers. These two rock solid businesses with unrivalled reputations were well set and it was now the time to move on. The loyal and existing management were given the opportunity to run their own show. It was time for us to rethink the future of this fascinating market. 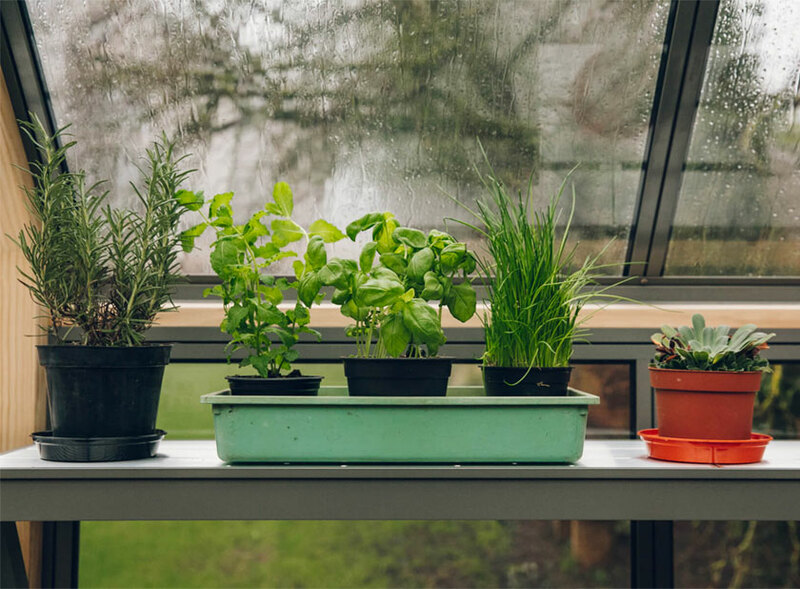 With itchy feet we set out to design the World’s Most Advanced Greenhouse. Days, months and now years later our present journey has reached its’ conclusion. We, this most enterprising team, have created from the ground up the most modern, stylish and functional greenhouse. There is no substitute for quality and experience. If you want to call us, we can go into great detail on our quality and design specification. Be assured that the Cultivar greenhouse meets the highest standards and also looks brilliant. 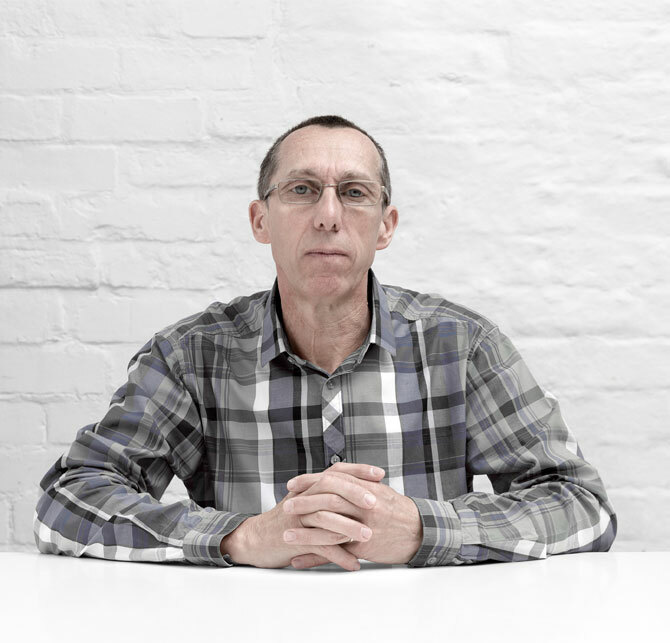 “After 40 years of greenhouse innovation, you’d think my enthusiasm would have wained by now. On the contrary, its grown." Starting a business is a challenge that I relish especially when it centers on Britain’s gardens and the traditional buildings that form part of that landscape. 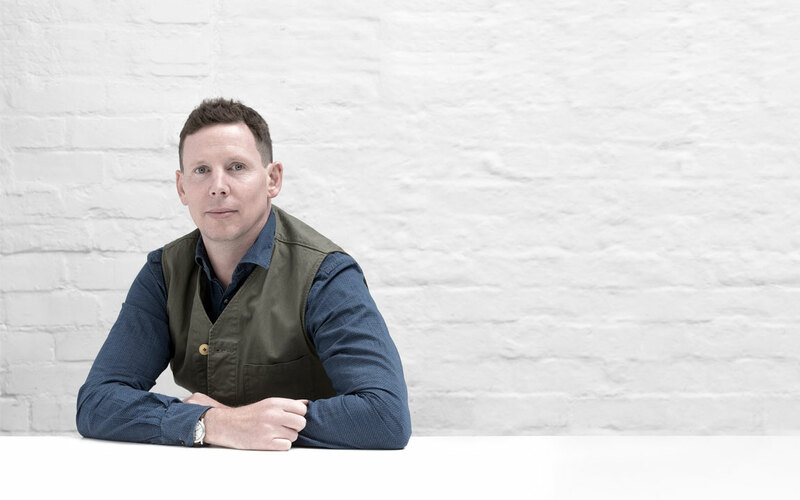 After many years fostering two of Britain’s largest greenhouse companies, gratefully still thriving, I have joined together with my son and long time brilliant technical associate to form a design led creative team. All of the lessons learned along the way have been put to good advantage. Full use of modern materials and manufacturing techniques have been considered in a long and thoughtful way. The result is this beautiful addition to the greenhouse world. 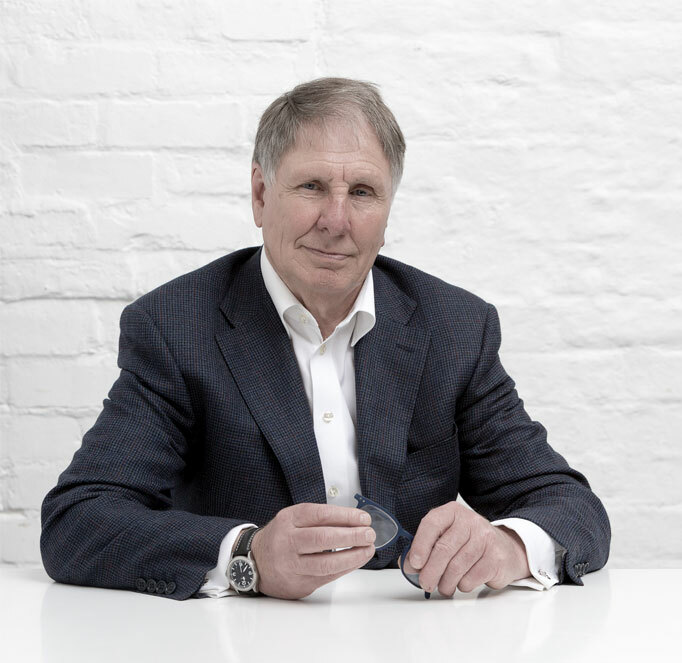 My principles of building a successful business have always been based on good foundations with great design and high quality at the forefront backed up with excellent customer service. It’s a credit to the team that will offer our customers lasting satisfaction. "I know what’s gone into it so I know what you’ll get out of it, that’s why to me, a 50 year guarantee is an absolute breeze." 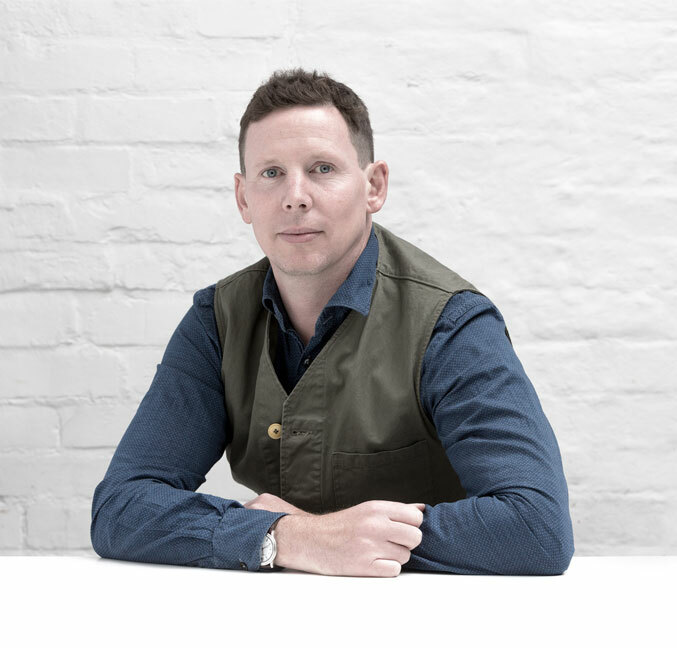 My experience, a design qualification, time served joinery (from an old school tutorage) building and designing homes and interiors of the highest workmanship. For the last 15 years I’ve been designing and making the most desirable greenhouses. But with Cultivar an awful lot of knowledge and skill has gone into the design. 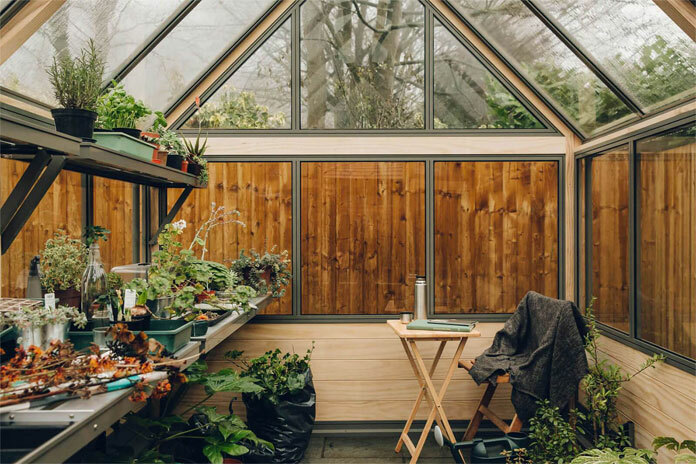 In designing this modern greenhouse there were hundreds if not thousands of technical conundrums to overcome. We’ve achieved a greenhouse with exceptional ventilation, evenly distributed with no hot or cold spots. 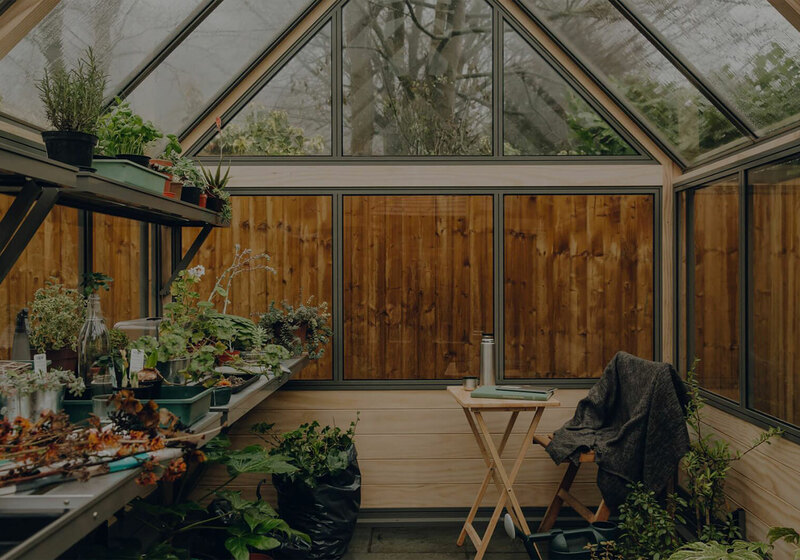 Great pains have been taken to ensure as many fixings as possible are concealed from view, the result a modern and clean looking greenhouse that draws comparison with the furniture in your home. The basic materials from which our greenhouses are made have been chosen for their longevity and green credentials. The FSC Accoya framing with it’s 50 year guarantee combines beautifully with the almost indestructible aluminium framing. With Cultivar I have finally reached my objective, the most advanced greenhouse in the World. Designed to last a lifetime, it’s taken me more than half a lifetime but it’s been worth every minute. 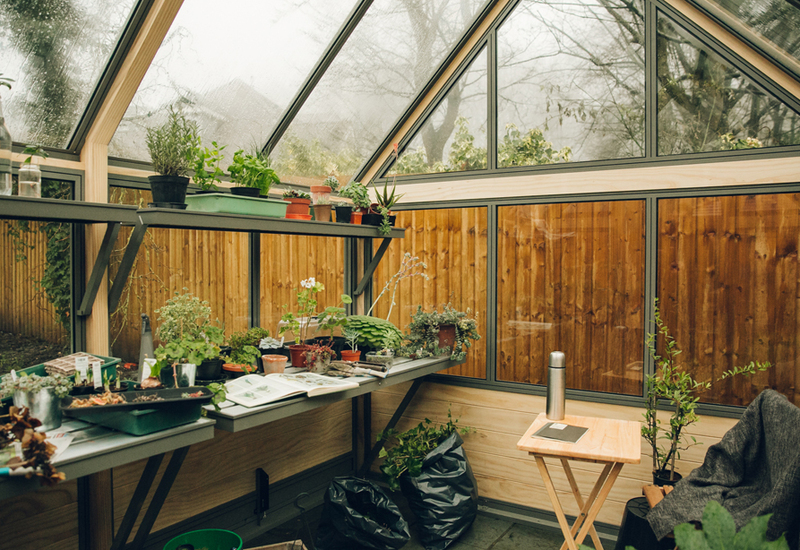 "Cultivar brings a breath of fresh air to greenhouse construction." I’m the part of the team that understands the needs and desires of gardeners and more importantly plants. Tim makes sure that every component is carefully manufactured whilst my father makes sure the business machine is well oiled. I bring a little humanity to the needs of our plants and our customers. When I speak to you there are hundreds of questions that may occur relating to location, size, use and specification. After twenty years of answering such queries I have a wealth of experience. It is little wonder that I have a full understanding of the importance of ventilation and our low level vents in conjunction with the full length ridge ventilation provides the most effective combination conducive to growth. 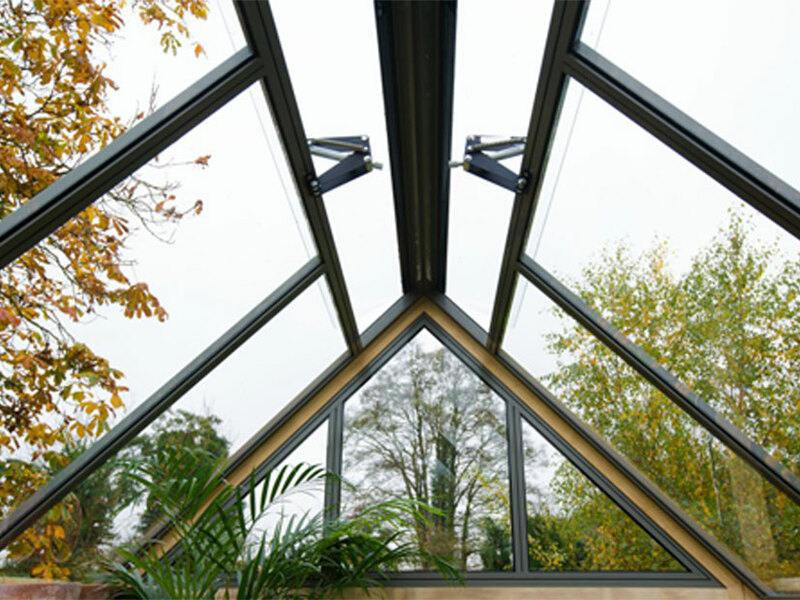 Each polished frameless ridge vent is made from 6mm toughened safety glass providing maximum light and ventilation as well as a dramatically different modern look. I love talking to customers about greenhouses, it’s an exciting business and gardening is a stimulating pastime.